Massachusetts regulators are pledging to crack down on medical marijuana dispensaries after several shops placed low-income patients on waiting lists for discounted products — creating delays that run afoul of state law. A Globe review found that the delays were often months long, effectively denying those low-income patients the discounts state regulations require for anyone with a verified financial hardship, with no cap on the number. The dispensaries had contended their financial hardship programs were full. The state Department of Public Health said it will now scrutinize dispensary hardship programs as part of the agency’s regular inspections to make sure they comply with state regulations. “Any dispensary that is in violation of the state regulations may be required to submit a plan of correction,” said Scott Zoback, spokesman for the department. The statement did not address whether violators would face fines, and how or when patients would be notified they are no longer on waiting lists. It remains unclear how many patients had languished on the lists. The Health Department has not collected data from the dispensaries on their hardship programs, Zoback said. At least three of the six dispensaries open in Massachusetts were using waiting lists, the Globe found. The issue highlights continued growing pains for the industry, and for state regulators, more than three years after Massachusetts voters approved marijuana for medical use. Just six dispensaries have opened, even though state law allowed as many as 35 to open in 2013, when the law took effect. Two additional dispensaries, in Quincy and Newton, received permission this month to start growing marijuana but won’t open for months. More than 160 other applicants are inching their way through the regulatory process. Patients, grateful to finally have a handful of dispensaries in business, often don’t realize the facilities are required to offer discounts, said Nichole Snow, executive director of the Massachusetts Patient Advocacy Alliance. State regulations make discounts available for people on Medicaid, elderly or disabled residents who receive Supplemental Security Income, or patients whose annual incomes don’t exceed $11,880 for one person, or $24,300 for a family of four. The rules do not stipulate the amount of marijuana dispensaries must offer at a discount, nor the price reduction, leaving that to each company’s discretion. The state’s rule requiring discounted marijuana for low-income patients is unusual. Massachusetts is one of just three states, including New Hampshire and Vermont, and the District of Columbia, that require such discounts, according to Americans for Safe Access, a Washington, D.C., organization that promotes marijuana for medical use. Some Massachusetts dispensaries post information about discounts on their website, and also gave notice of waiting lists. New England Treatment Access, known as NETA, operates dispensaries in Brookline and Northampton, and the patient handbook posted on its dispensary website states that the company reserves the right to limit the number of patients enrolled in the financial hardship program. Workers who recently answered phone calls at both locations said the programs were full, and offered a waiting list. Jeannine Timlin, a 45-year-old Methuen mother of four with Crohn’s disease, is familiar with NETA’s waiting list. Timlin, who is on Medicaid, said she applied for the company’s hardship program in early February, shortly after the Brookline dispensary opened, and was told she was placed on a waiting list. “I have asked them about it three times since then, and each time, they tell me I am number 22,” Timlin said. Marijuana, she said, is more effective than her prescription medication in easing severe stomach cramps from Crohn’s. But the price, especially without a discount, runs about $50 for one-eighth of an ounce of marijuana at NETA every two weeks, she said. Timlin said she didn’t realize it was illegal for dispensaries to cap enrollment in the discount program, and also didn’t realize another dispensary, Patriot Care in Lowell, opened much closer to her home, and reports no waiting lists. The company said more than 100 patients were in the hardship program at both dispensaries, but was unable to say how many were on waiting lists. A Brockton dispensary, In Good Health, said it has no waiting lists, and offers discounts ranging from 10 to 20 percent for low-income patients. The executive director of Central Ave Compassionate Care in Ayer, John Hillier, declined in a statement to say whether his dispensary placed patients on waiting lists. “Our focus is on building a financially stable operation that is able to serve all the registered patients dependent upon us, including those who do not qualify for the program,” he said. Alternative Therapies Group in Salem, the first dispensary to open last June, had a waiting list but stopped May 2, according to its executive director, Christopher Edwards. In a notice to patients, Edwards said the waiting list allowed the company to offer “meaningful discounts ranging from 20 to 50 percent,” but that state regulators adopted a “slightly different legal interpretation,” and determined the lists were no longer allowed. Now, he said, the dispensary will offer low-income patients discounts of just 10 percent, but those who were already approved for larger discounts will receive them for the remainder of their one-year contract. 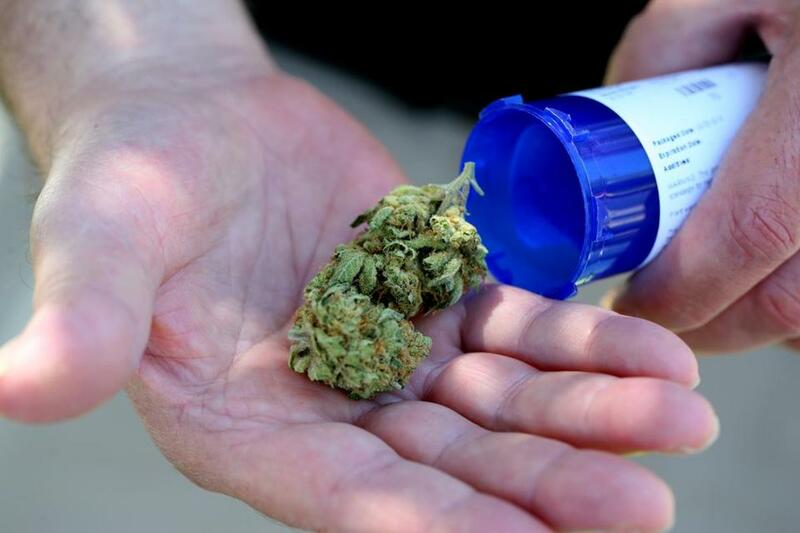 Even as Alternative Therapies placed patients on waiting lists for months, state regulators last fall started alerting applicants for dispensary licenses that capping enrollment in discount programs is prohibited. Alternative Therapies had proposed waiting lists when it applied in September to open two more dispensaries. Companies can spend hundreds of thousands of dollars on dispensary licensing fees and construction, and were concerned patient hardship programs would sap profits.